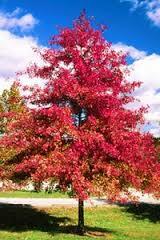 Pin Oak Tree For Sale - Low Prices Online & Fast Ship! The Pin Oak Seedling when it grows to maturity is an excellent shade tree that can almost completely block out the sun. Its wide-spreading canopy could be just the ticket on a sweltering summer day. It can tolerate a wide range of soil conditions, and wet conditions don't faze it even to the extent of mild flooding. It is noted for the bold strokes of beauty it adds to autumn colors. Vivid scarlet and bronze colors make the Pin Oak a favorite for the crispness and coolness of fall. It also produces acorns that give forest creatures a good meal and the unusual pattern of its branches are especially lovely in winter and the glories of fresh snow. The Pin Oak Tree is gorgeous standing alone, alongside a road or next to a building. Summer is a lovely time of year. The plants are lush and green, and animals chirp and croak as they go about their daily business. With all of this beauty, people naturally gravitate towards spending more time outdoors. Gardening and landscaping become favorite activities as people try to beautify their new surroundings. They often pick out different flowers and bushes to add to their existing backyards. However, they sometimes overlook the bigger picture. Instead of focusing on the smaller minutiae, such as the types of flowers desired, they need to stop and take a look at the space overall. Are any significant items going to be installed such as a pool or a fire pit? Will there be a walkway added to divide the space up? And perhaps the most overlooked question, how will the lighting affect the area? 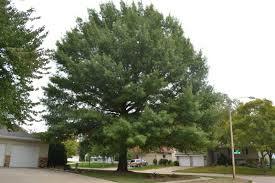 Pin Oak Tree is perhaps the best oak to plant in an area which experiences frequent rain or annual flooding. However, often people will want at least a partially covered outdoor area to seek relief from the blazing sun. A great solution to this problem can be found in hardwood trees. They grow to be tall and robust, in addition to being very long lasting. They do not break in a severe wind and will withstand harsh winters. 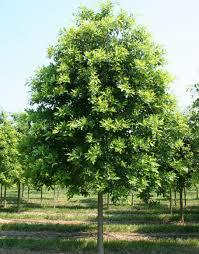 The pin oak tree is the perfect selection for anyone looking for a fast growing hardwood tree. It tolerates wet soils well and prefers full sun. In the beginning, the tree will appear pyramidal, but as it ages it will develop a rounder, more oval shape. The leaves are a glossy dark green that become russet, bronze, or red in the autumn. All these aspects combine to make an aesthetically pleasing tree that will look beautiful no matter what season of the year. It is also a significant investment because it lives for very long periods of time, with some believed to be over two hundred years old. The Pin Oak Tree is incredibly tolerant to moist, swampy soils. Its emerald leaves go a deep bronze in fall, making it a beautiful sight to behold. The Pin Oak is one of the smaller oak trees.So the next time the sun is beating down into the backyard, and there is no shade to be found, do not retreat into the house. Instead, evaluate the surroundings and make a plan to customize them to the desired conditions. Pin oak trees are the perfect way to provide shade while enhancing the beauty inherent. They are a great compliment to any existing flowers and shrubbery, in addition to other commonly utilized outdoor treatments, such as walkways or fences. Kick back and relax comfortably in the shade!